An iconic home that overlooks a scenic channel in northern Michigan's Sleeping Bear Dunes National Lakeshore will be demolished this year. The demolition is called for under a long-standing agreement between the park and the home's late owner, Edward Cole. He died at age 84 in November 2015. The home overlooks a channel to Lake Michigan that's a popular spot for summer swimmers, sunbathers and kayakers along North Bar Lake. The Sleeping Bear Dunes National Lakeshore has experienced a lot of damage the past few years, from battering storms to rising water levels. 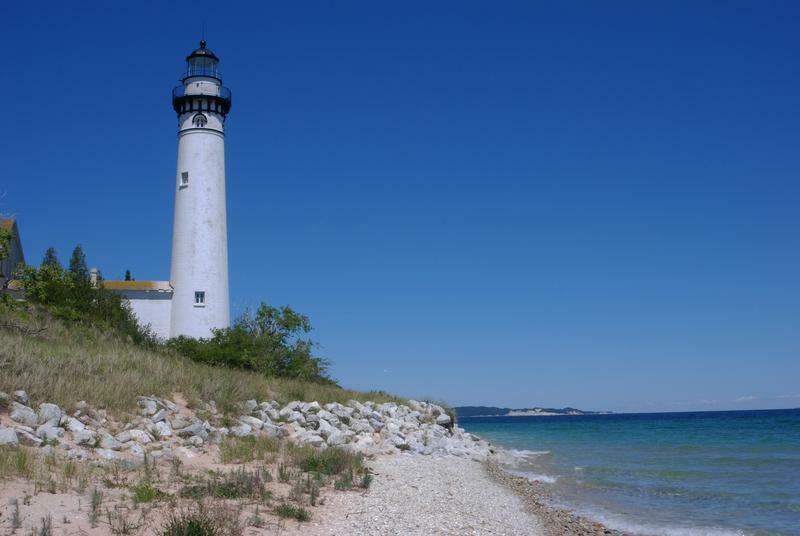 MLive reports that engineers have found the shoreline of the South Manitou Island Lighthouse has degraded significantly. The erosion worsened during the 2015-2016 winter. Park staff have outlined a $1 million plan to fix it. Last year Sleeping Bear Dunes ranked 13th out of more than 100 national parks, lakeshores, and recreation areas for the number of search and rescue operations conducted there. 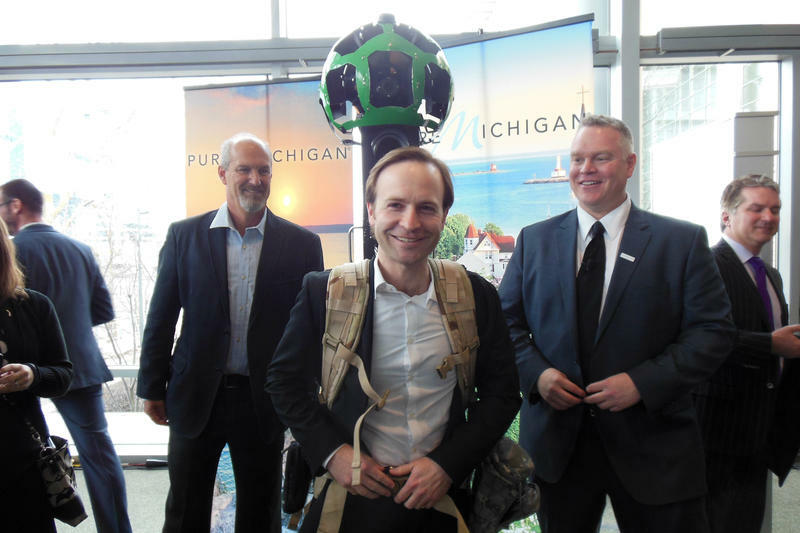 Today, Google released into the world more than 40 images of iconic places in Michigan. Google is known for capturing 360-degree street view images with their camera. For these latest images, the camera was strapped onto a backpack and taken to places cars can't go. 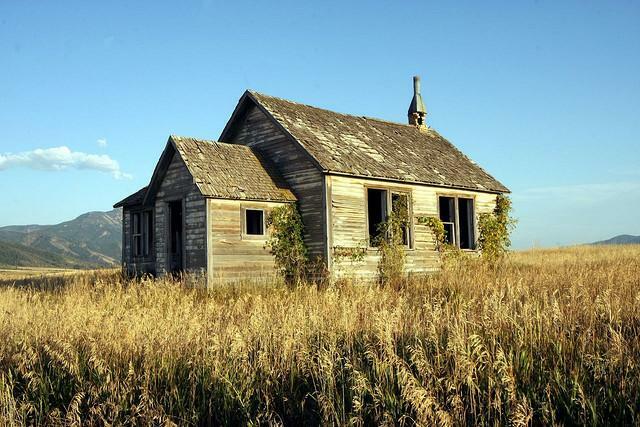 Ghost towns don't only belong to the Old West. 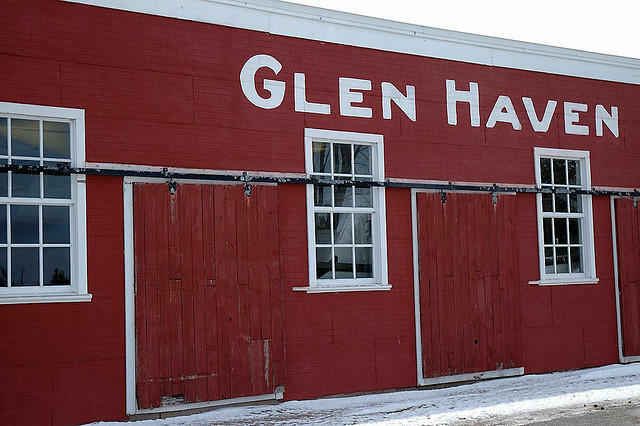 You can find them scattered all over Michigan, including Glen Haven, located in the Leelanau Peninsula right inside the Sleeping Bear Dunes National Lakeshore. Marie Scott is a park ranger in the area. She says the town began before the civil war as a stop for steamers to pick up wood for fuel. As the traffic picked up, it grew from only a dock to a fully functioning town. Fifty years ago, Congress set out to guarantee future generations would always have access to America’s great outdoors in its most natural state. But several recent requests for wilderness protections have been languishing on Capitol Hill. In the past five years, just one new wilderness bill made it to law. This new law guarantees 35 miles of northern Lake Michigan shoreline will be forever left wild. EMPIRE, Mich. (AP) - President Barack Obama has signed a bill designating 32,557 acres of Sleeping Bear Dunes National Lakeshore as protected federal wilderness, the final step for a proposal that has been debated locally for more than a decade. The measure cleared the U.S. House in March and the Senate last June. The White House says Obama signed it Thursday. The Sleeping Bear Dunes federal park is headquartered at Empire along Lake Michigan in the northern Lower Peninsula. It's famed for towering sand dunes, some of which rise hundreds of feet above the shoreline. The area is the first land to receive wilderness status from Congress in five years. About 1.4 million people visited the lakeshore in 2011, pumping about $120 million into the local economy. For a beech tree, the end comes in two parts. 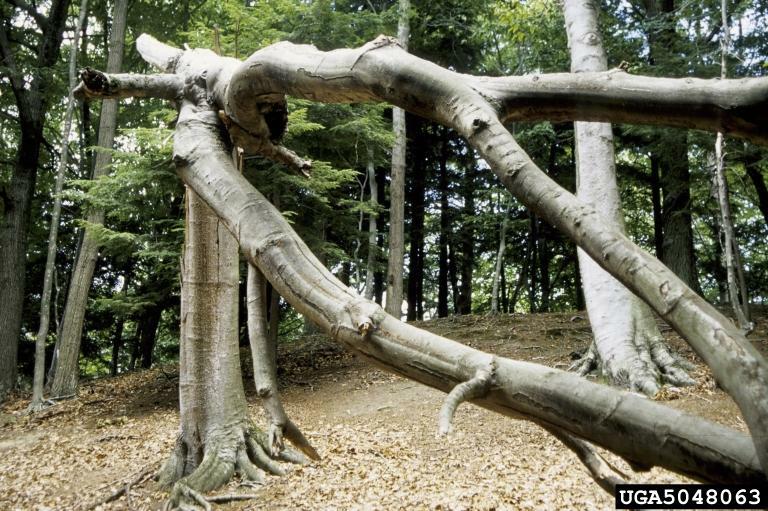 It starts with the wooly beech scale opening up a wound, then a fungus gets into that wound and can eventually kill the tree (either by girdling it or by weakening it until it falls over). The disease has been around in Canada and parts of the U.S. for more than a century. It was discovered in Michigan in 2000. TRAVERSE CITY, Mich. (AP) — Legislation under consideration in Congress would designate about 32,500 acres within the Sleeping Bear Dunes National Lakeshore as wilderness. An interview with Pat Kelly, granddaughter of the longest-serving lighthouse keeper on South Manitou Island. To many in Michigan and the tourists who visit, the Sleeping Bear Dunes National Lakeshore is one of the most beautiful parts of "Pure Michigan." In fact, ABC’s Good Morning America called the Sleeping Bear Dunes the most beautiful place in America. Part of that National Lakeshore is South Manitou Island. And some people with very special ties to South Manitou Island have been very busy getting the place spruced up and polished for a special day tomorrow. Pat Kelly is the granddaughter of James Putnam-Burdick, who was the longest-serving lighthouse keeper on South Manitou Island, and she joined us today from South Manitou's ranger station. 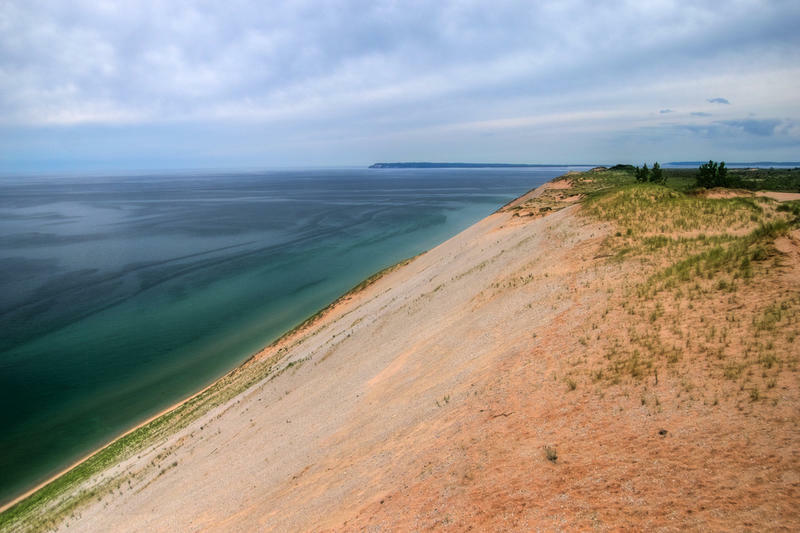 On Wednesday, the United States Senate unanimously passed a bill that brings Congress one step closer to declare a portion of Sleeping Bear Dunes National Lakeshore, some 32,557 acres, as a "wilderness area." Though the Sleeping Bear Dunes is already protected, it hasn't been declared a wilderness area yet. Wilderness areas try erase any trace of human activity. These designations can be controversial when some believe human history in the area should be preserved. The National Park Service has faced situations like this in the past. The bill was sponsored by Michigan Senators Debbie Stabenow and Carl Levin, and will affect almost half of the 35 miles of National Lakeshore. 'The sequester' has generated a nervous buzz throughout the nation as we wait to see if the federal budget cuts will be a big deal. For some agencies in Michigan, the cuts are already here. 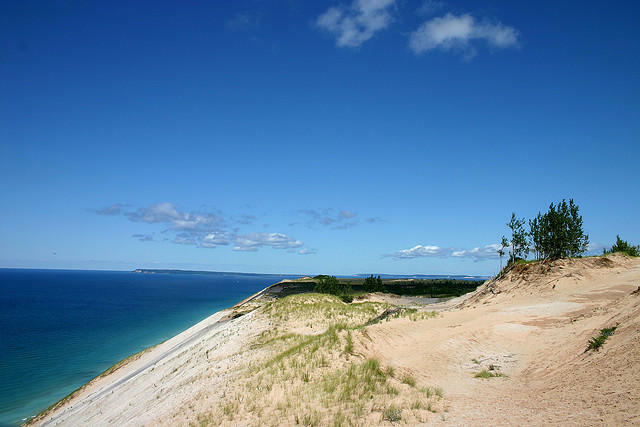 Let's take a look at one of the state's most popular scenic tourist destinations - the Sleeping Bear Dunes. Last year, the Dunes had a record year with 1.53 million visitors. Tom Ulrich is the Deputy Superintendent of the Sleeping Bear Dunes National Lakeshore. Though he wasn't told to furlough any of his year round employees, Ulrich was required to cut a lot of the seasonal employees that are crucial to park maintenance over the summer. "Governor Snyder is expected to receive a long-awaited report on Detroit’s financial situation today. It’s widely expected that the report will depict a city on the brink of insolvency—and suggest further state intervention," Sarah Cwiek reports. "Flint mayor Dayne Walling says his city must now make a transition to an era of "reconstruction" after a "generation of decline." Walling told the audience at his State of the City address yesterday that in order to begin that transition Flint must deal with its crime problem. Flint had the worst violent crime rate in the nation last year," Steve Carmody reports. 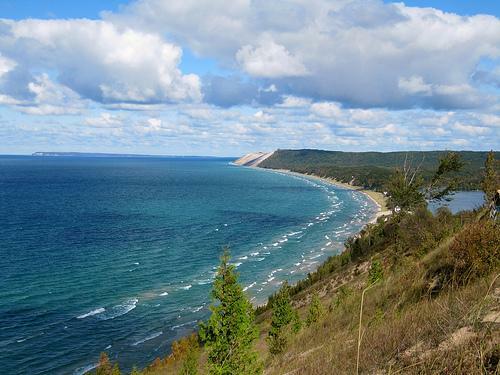 "The state Transportation Department has received $100,000 in federal funds to extend Sleeping Bear Dunes National Lakeshore Heritage Trail by nearly five miles. The funding is part of $12.5 million for 29 projects in 20 states to improve access to national parks, forests and wildlife refuges," the Associated Press reports. GLEN ARBOR, Mich. (AP) - The state Transportation Department has received $100,000 in federal funds to extend Sleeping Bear Dunes National Lakeshore Heritage Trail by nearly five miles. The funding is part of $12.5 million for 29 projects in 20 states to improve access to national parks, forests and wildlife refuges. U.S. Transportation Secretary Ray LaHood announced the projects Monday. EMPIRE, Mich. (AP) - Nearly half of Michigan's Sleeping Bear Dunes National Lakeshore would be preserved as wilderness under legislation awaiting a possible vote in the U.S. House in the last days of the 112th Congress. The wilderness tag would be given to more than 32,000 undeveloped acres in the scenic lakeshore in northwestern lower Michigan. It's the highest level of conservation protection for federal lands. An invasive insect may wipe out the ash trees at Sleeping Bear Dunes National Lakeshore. The emerald ash borer has infested up to 90 percent of the ash trees on the lakeshore's mainland in the northwestern Lower Peninsula. The first case was discovered in June and the tree-killing pest has spread quickly. Lakeshore officials are considering their options to try to control the ash borer, but things look bleak. The federal government wants to make money selling real estate. The government has released an interactive map of about 12 thousand federal “excess” properties, including 55 in Michigan. The government says most of these properties have little market value. But, President Obama wants legislation to increase the number of properties and the speed of sales. He wants the government to use a process similar to that used to decommission old military bases.